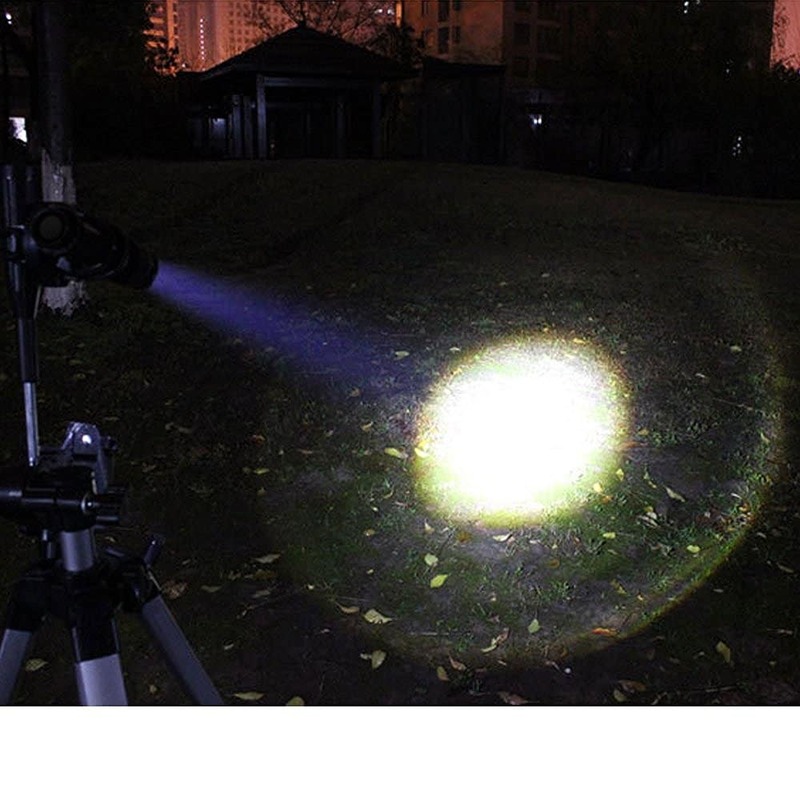 Compact LED strobe flashlight with max 300 lumens of brightness with a zoom function and 3 light modes. 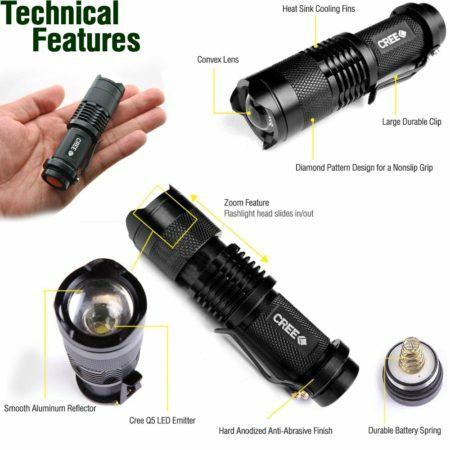 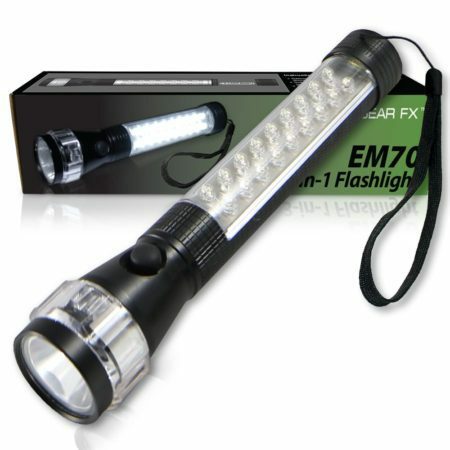 A great flashlight for general home use and outdoor activities. 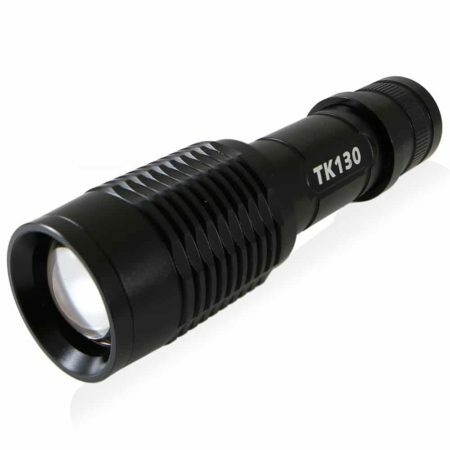 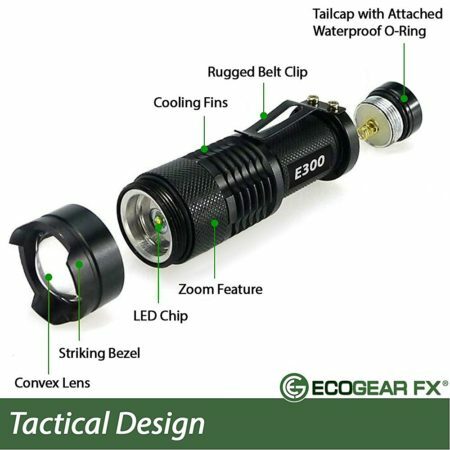 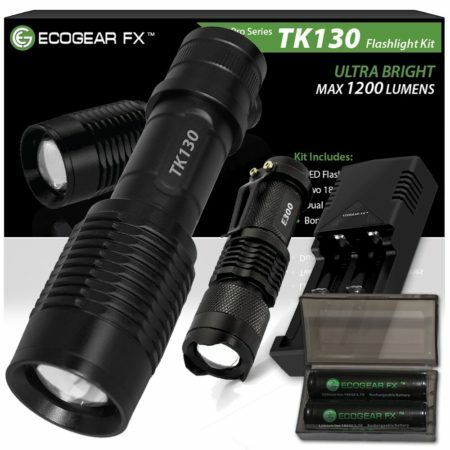 The E300 Tactical Flashlight is small LED strobe flashlight that packs a punch. 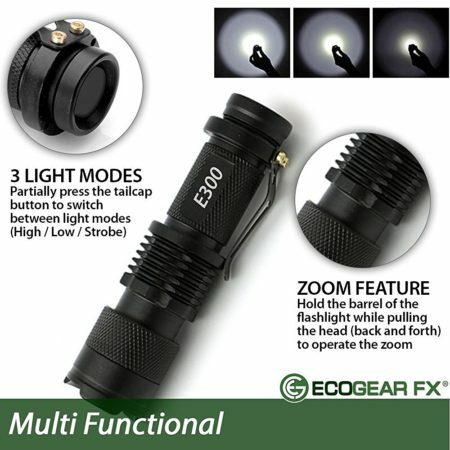 Offering a max 300 lumens of brightness, a zoom function and 3 light modes; including a strobe mode. 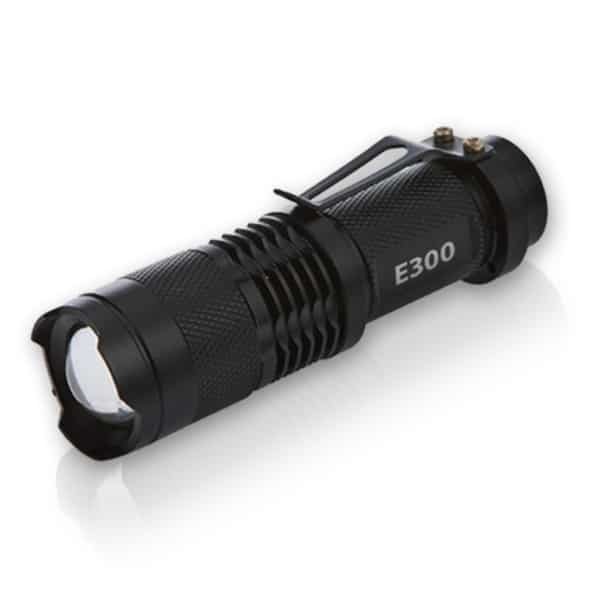 The E300 is a great compact flashlight for general home use, camping, hiking and tactical use. 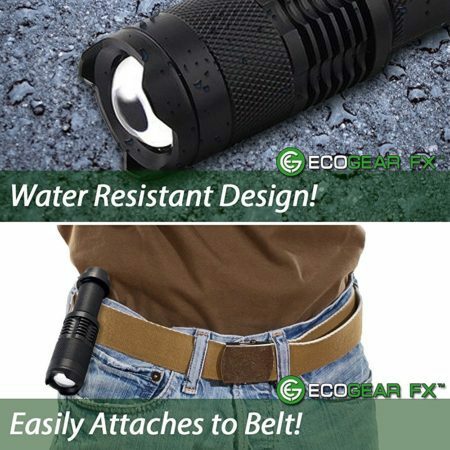 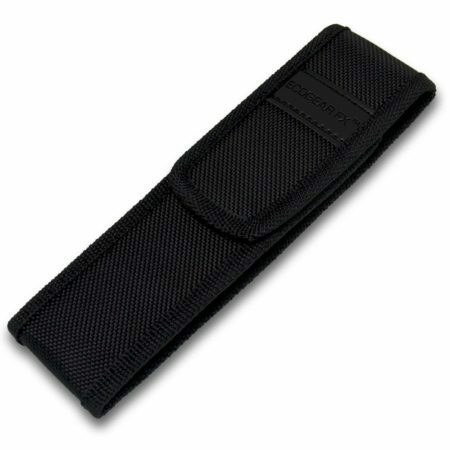 Perfect for walking the dog and small enough to fit into your pocket or purse. 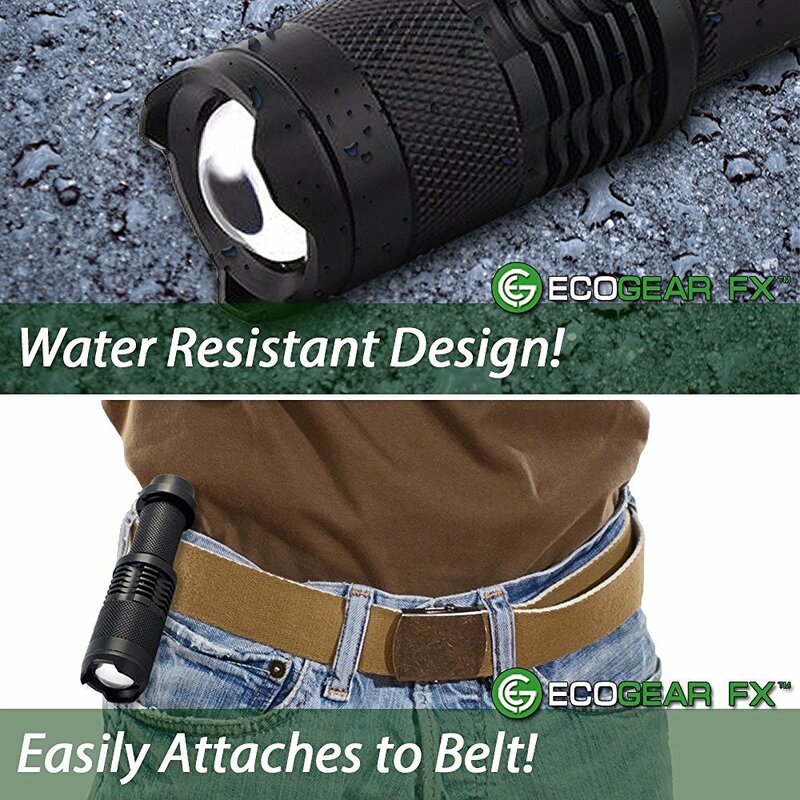 Great for both household use and outdoor activities.